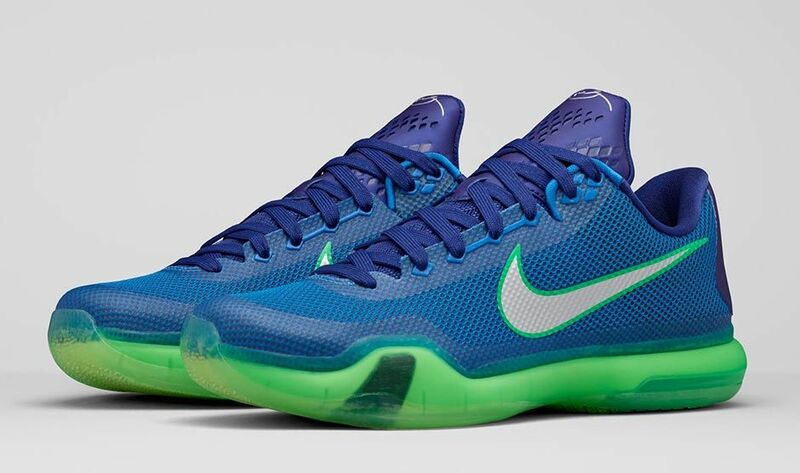 A certain cornerback on the Seattle Seahawks is the inspiration behind the Nike Kobe X ‘Emerald City’ colorway seen below. 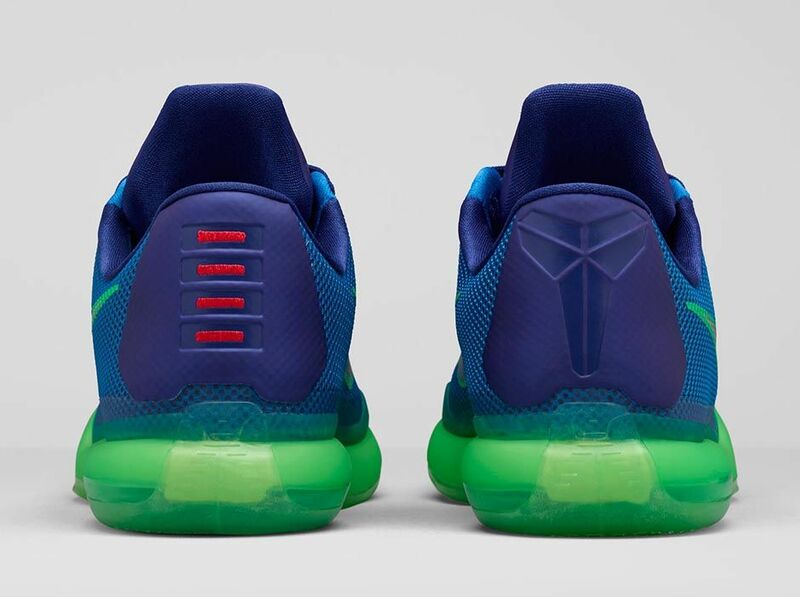 Richard Sherman has cited Kobe Bryant as an influence for him in the past, leading to this Seahawks colorway for Kobe’s tenth sneaker. 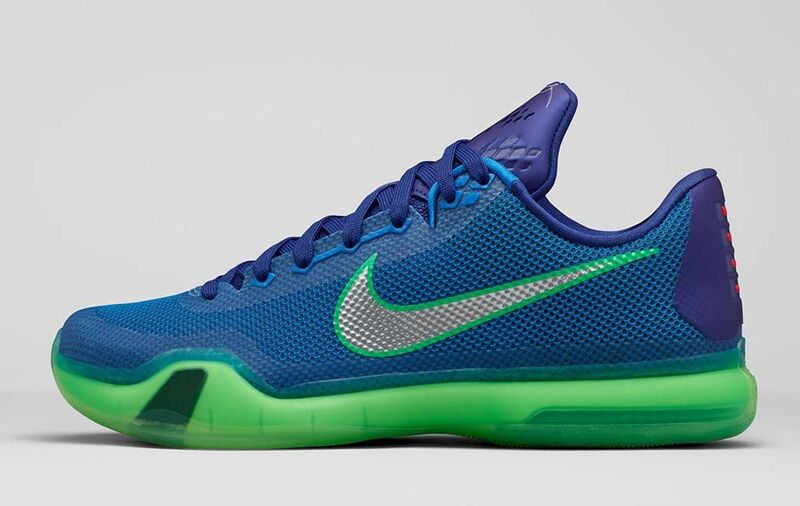 The shoe combines a Deep Royal Blue upper with Green Shock sole to match the Seattle team jerseys. 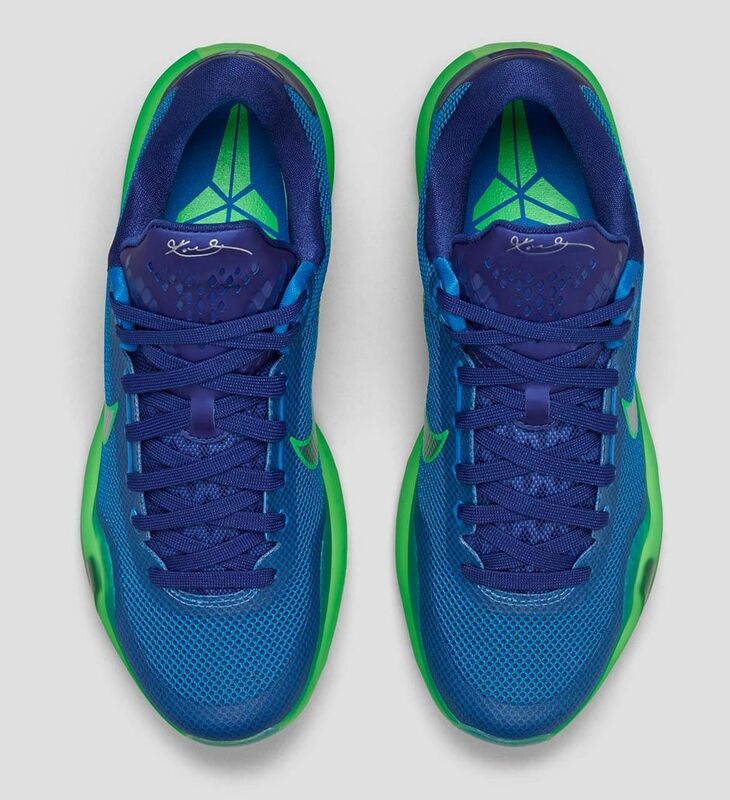 This Kobe X utilizes a mesh upper with a Lunarlon insert in the forefoot that is notched for flexibility and a visible Zoom Air unit in the heel. Pass on the fact it’s Seattle. 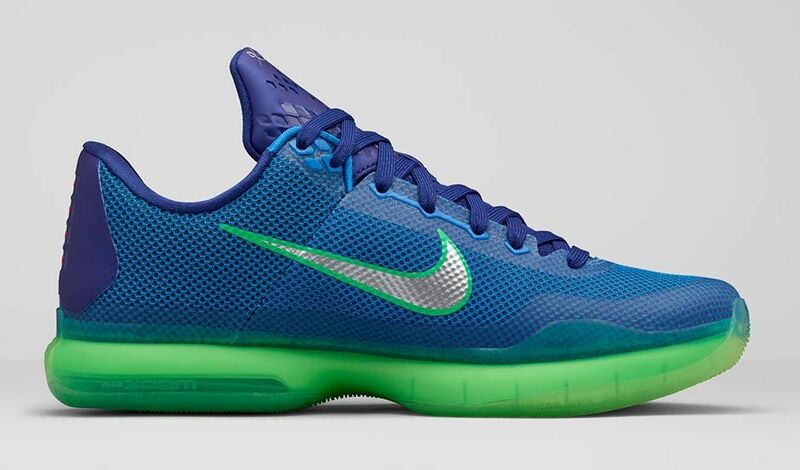 The Kobe X is straight bs looks-wise. The elite low version is ok I guess but the regular is crap.